Give a rainbow look to your décor by placing this magnificent handknotted wool area rug. This is woven on a handloom and vegetable dye has been used for fixing the colors of carpet. 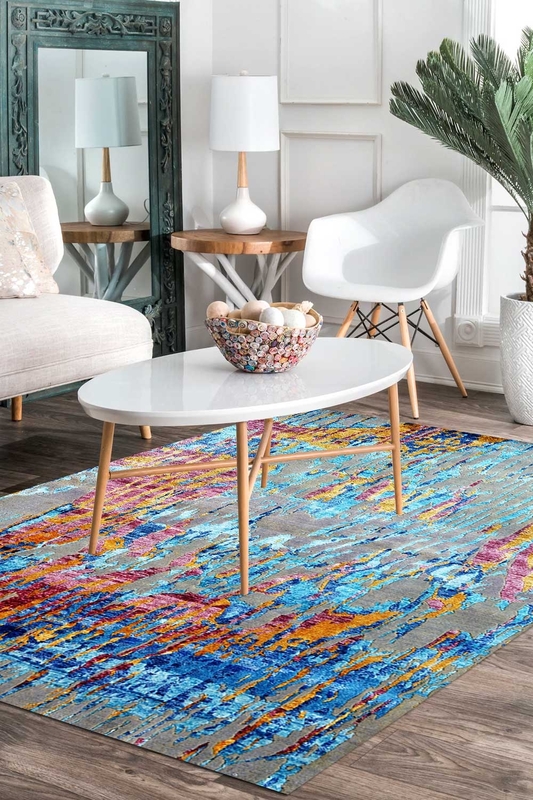 Designed with the clam palette of modern art, this hand-knotted woolen carpet creates a relaxing atmosphere for any room. While the eye-catching pattern on the carpet highlights its visual charm, New Zealand wool, Banana Silk and finest quality cotton assure its durability and easy maintenance. The ground of this carpet looks like the rainbow in the sky. It contains vibrant beautiful colors which will give an outstanding look.